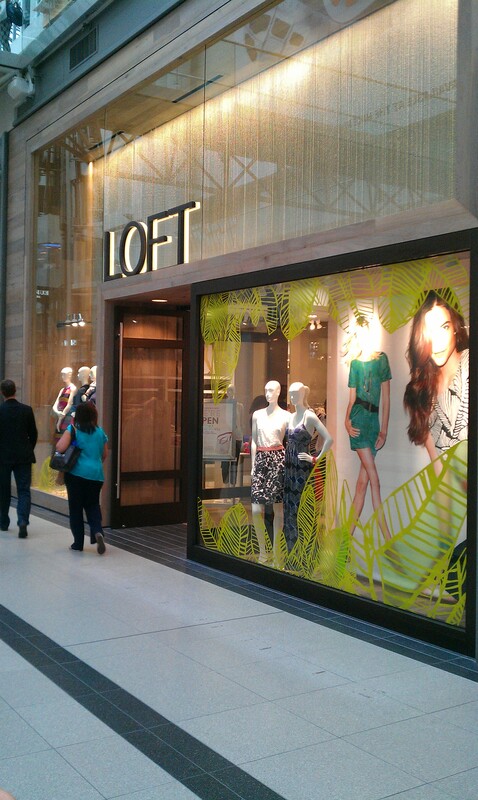 Women’s clothing retailer Loft has opened its second Canadian location, at the Toronto Eaton Centre. The sister chain to Ann Taylor, owned by Ann Inc., unveiled its first Canadian store at Yorkdale Shopping Centre towards the end of last year (Ann Taylor reaches for “Lofty” new heights). The new downtown location opened on May 31st, and was warmly welcomed by many keen shoppers. Loft carries trendy fashions for women, with styles that come in a variety of different fits to flatter such body types as petites and tall women, along with a maternity line. Its styles are somewhat comparable to those available at RW & Co. and Banana Republic. The new shop is located on the top level of the Eaton Centre, across from Michael Kors. It’s a nice sized store, with a comprehensive section at the back devoted to petite sizes. The retailer is planning to open three other GTA locations in the months to come, including one in Lime Ridge Mall in Hamilton in July, one in Markville Shopping Centre in Markham in August, and one in Square One Shopping Centre in Mississauga in October. The retailer also recently expanded its e-commerce capabilities to the Canadian market, so that shoppers on this side of the border can buy Loft fashions online. The opening of the new store comes about six months after Loft’s higher-end sister chain, Ann Taylor, launched its own location in the Toronto Eaton Centre. That chain has been embarking on its own Canadian expansion strategy, having opened two Toronto locations this past fall. Canadian women appear to be embracing both well-established U.S. brands, as they continue to expand into this country. I enjoy candles as much as the next person, and yet I find it a bit hard to imagine a store selling candles – and only candles. Nonetheless, this is the premise behind The Yankee Candle Company, Inc. – a huge U.S.-based chain that’s enjoyed much success. It operates more than 500 stores throughout the U.S., which sell scented candles and candle accessories, along with a few other home fragrance products. The retailer recently made its debut into the Canadian market, with five brand new Ontario locations. These include a couple on the outskirts of the GTA – one in Pickering Town Centre and one in Lime Ridge Mall. The others are located in Kitchener, Barrie and St. Catherines. 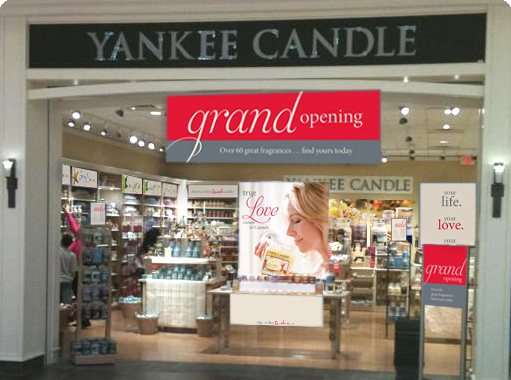 Yankee specializes in scented candles, and as you can imagine, it carries plenty of variety in this department. They come in a range of shapes and sizes, from tea lights to large jars that burn for up to 150 hours. The candles are available in more than 150 fragrances, among them: Fresh Cut Roses, Hazelnut Coffee, Kiwi Berries, Lavender Vanilla, Maple Pancakes, Ocean Water, Orange Dreamsicle, and many more. The retailer also has a wide variety of seasonal scents, like Peppermint Cocoa, Hot Buttered Rum, Sparkling Cinnamon and Holiday Sage. My mouth is watering just writing about these scents; I can only imagine how nice they’d smell burning in my living room. They’d make lovely Christmas gifts, and luckily, the new stores have arrived with plenty of time to spare before the busy holiday shopping season gets underway. So if there’s a candle-lover on your list, there’s no doubt this niche chain is the place to go. Another American retailer has made its foray into Toronto’s retail scene. Apparel chain Express, Inc., which operates nearly 600 stores throughout the U.S. and Puerto Rico, launched its first Canadian store at Fairview Mall last week. With collections of casual, professional and dressy apparel, Express targets fashionable shoppers between the ages of 20 and 30. The new store boasts the same merchandise as locations south of the border, including both men’s and women’s fashions, accessories, shoes, sleepwear and outerwear. Among the chain’s best-selling products are dress pants for women and button-down shirts for men. The Fairview location is the first of many Express stores set to open in Canada in the months and years ahead. The company plans to have two more shops up and running in the GTA by the end of the year, including one at Lime Ridge Mall in Hamilton and one at Square One in Mississauga, along with three stores in Calgary. Hockey player Luke Schenn, Express president and CEO Michael Weiss and actress Emmanuelle Chriqui at the launch of Express at Fairview Mall. And that’s not all. 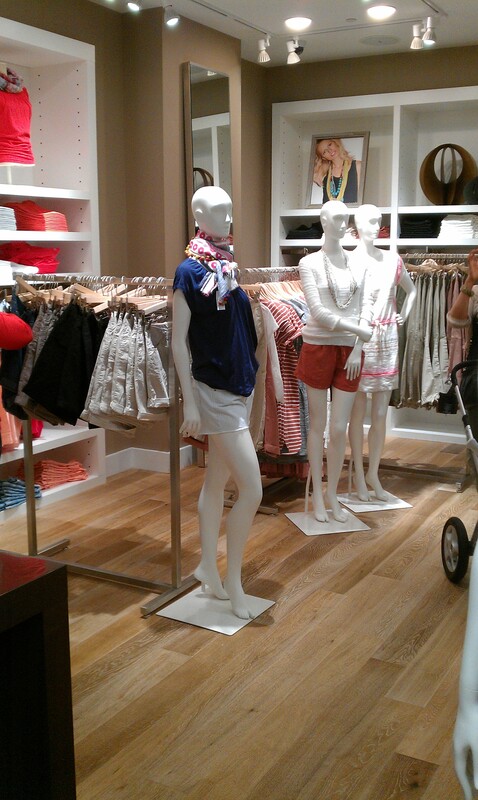 Over the next five years, Express is aiming to open 50 locations across the country. The retailer celebrated the opening of its newest location in style. A launch party last week featured special guests Emmanuelle Chriqui – the gorgeous actress from the series Entourage, and Toronto Maple Leafs defenceman Luke Schenn. Michael Weiss, CEO of Express, was also in attendance.